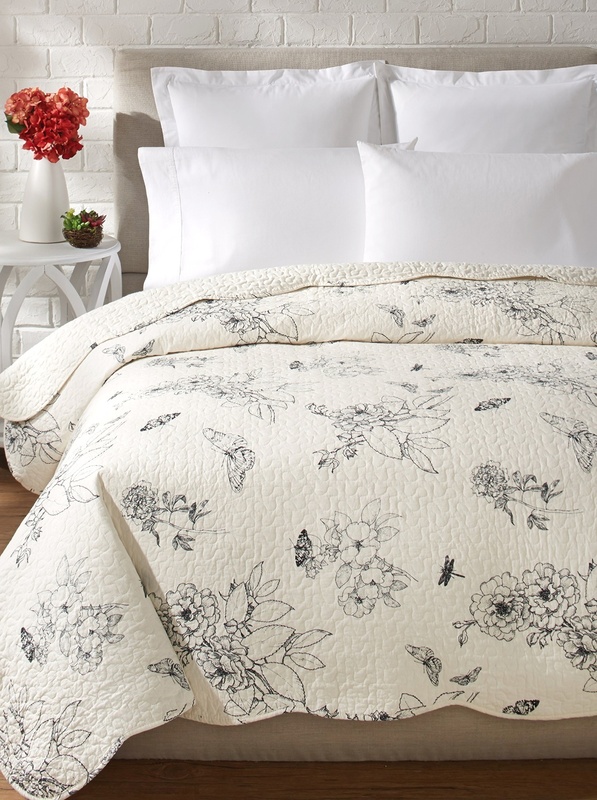 Classic Dandridge black toile bedding by Williamsburg� brand features beautiful botanical florals, dragonflies, and butterflies on an eggshell background. 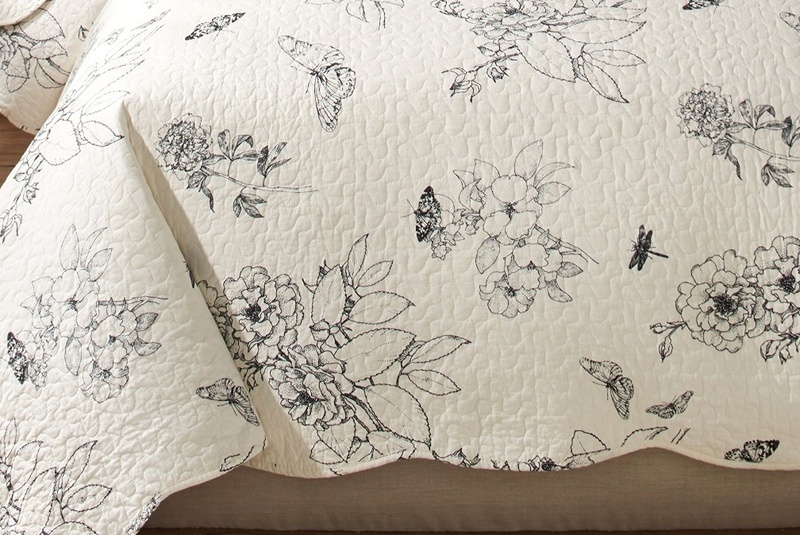 All-over vermicelli quilting and scalloped edges enhance the beauty. The shams reverse to a chic black ticking stripe, and the quilt reverses to a solid eggshell with scrolled stitching throughout. Prewashed by the manufacturer for a comfy softness.